The first step towards an active mind, body and soul is exercise! Exercise helps your body in multiple ways, provided you keep doing it. It is tough for most of us to get out of our busy, sedentary rut but once you make up your mind, it is important to never step back. 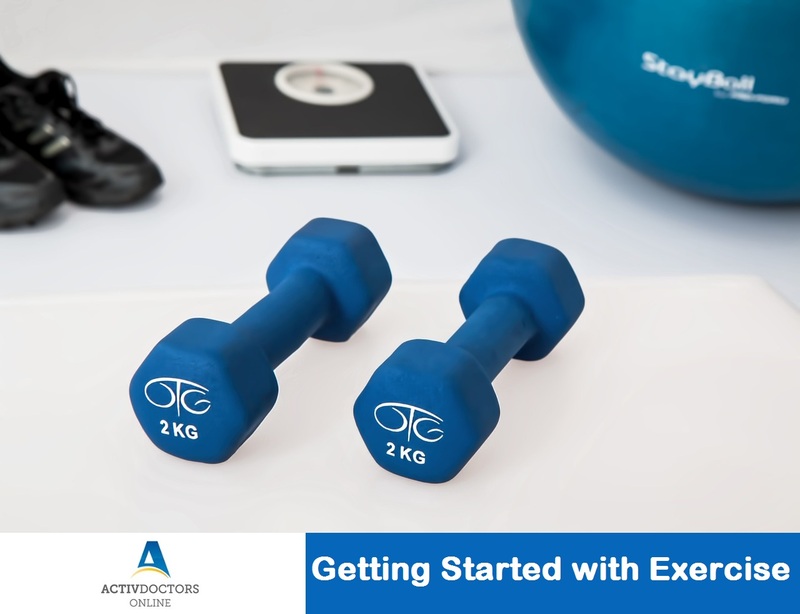 Assess your fitness level – Be it simple workouts on the treadmill, jogging or workouts in the gym, it is important to consult a Doctor before bringing about any major change in your lifestyle. It is recommended to check your BP, Heart Rate and Respiratory Rate to gain advise on what exercises would be ideal for you to begin with. Design your fitness program – Aerobics, Yoga or the Gym; what do you prefer? Plan your fitness program and the time you can spend on it. Assemble your needs – Be it a simple pair of jogging shoes, track pants, and so on. Gather things that are needed to get best results out of your exercise regimen. Remember to set realistic goals, listen to your body, start slow and build up gradually, set targets and make notes of your progress. Exercise is a magical pill; it works wonders if you take the right dose.